Many thanks once again Anita, Flossie has a new lease of life! She is so playful & full of energy since the uncomfortable fur has been removed. 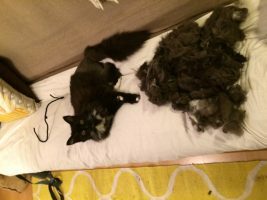 If you have found yourself on this page, are a cat guardian who is looking for an East london cat groomer and have just read this East london mobile cat groomer feedback then you have definitely come to the correct place. After reading the East London mobile cat groomer feedback you can see why our cat groomer truly stands out? 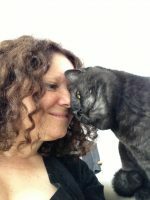 Thank you Nicola and Flossie for your East London mobile cat groomer feedback. It will help other clients book with confidence and have total peace of mind.